On May 11, Rojorn Campbell would have celebrated eight years since fulfilling his dream of becoming a pilot. 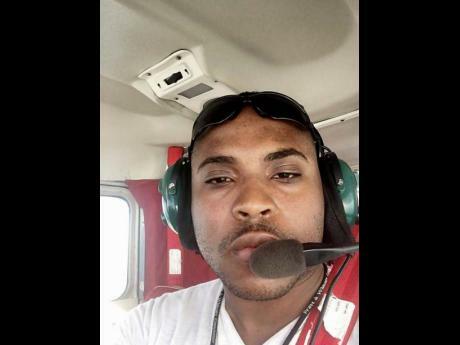 But as he took to the skies in a Cessna 206 aircraft on a fateful Thursday afternoon last week from Sangster International Airport in Montego Bay, St James, little did he know he would not make it to that milestone. Instead, a tragic plane crash has plunged the local aviation fraternity into mourning yet again. This time, there is a grieving widow, who had no idea how quickly a 'happy ever after' could turn into such a terrible nightmare. It all began some time after 4 p.m. when Campbell, fellow pilot Carlon Snipe, and mechanic Miguel Jones commenced what should have been a regular trip destined for the Tinson Pen Aerodrome in Kingston. However, shortly after takeoff, panic buttons went off when the aircraft in which they were travelling went off the radar. The Jamaica Defence Force was immediately called in to commence a desperate search for the men. Despite their efforts, they stumbled upon nothing, and fellow pilots and industry workers started fearing the worst. By 5 p.m. Friday, Major Basil Jarrett, the civil military cooperation officer, confirmed their fears. Three weeks before his death, Campbell had tied the knot with his longtime partner, Amoy. And, it was at the wedding that he and his brother last shared a moment. The Gleaner understands that Campbell also has a five-year-old daughter. At the same time, family and friends are expressing shock at the passing of Snipe, who they describe as a "humble soul yet full of life". In the aftermath of the tragedy, other local pilots poured out their emotions on social media as they were yet again mourning the loss of colleagues. Jamaica Civil Aviation Authority Director General Nari Williams-Singh also said the crash was "a sad day for the aviation fraternity". He said the regulatory body was probing the incident. In 2016, a similar incident took place when a four-seat Cessna 172 Skyhawk aircraft crashed into a house in the Greenwich Town community in southwest St Andrew, killing three. GEORGIA, Trelawny — It was a scene of devastation yesterday at the site where an aeroplane crashed in Trelawny, killing the three people on-board. The aircraft, which was reported missing after taking off from the Sangster International Airport in Montego Bay, St James, at 4:18 pm on Thursday, was discovered about 3:30 pm yesterday by members of the Jamaica Defence Force (JDF) Air Wing, in an area between Duncans and Samuel Prospect. 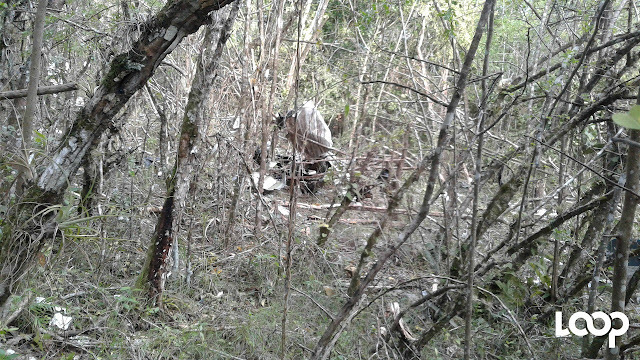 Bits and pieces of the aeroplane and the mutilated bodies of its occupants were recovered deep in the woods of the rustic community by the army men. “The small aircraft that was lost from radar yesterday evening was located about two miles south of Duncans. The Civil Aviation Authority is expected here in the morning and until then, the scene is being kept sterile,” Lieutenant Colonel Godfrey Sterling told the Jamaica Observer last night. The aircraft — a Cessna 206F operated by Rutair Limited (Airlink) — was last seen on radar at 4:36 pm on Thursday, above Trelawny, 32 kilometres (20 miles) east of Sangster International Airport, between Duncans and Clark's Town. The aircraft was heading to the Tinson Pen Aerodrome. The Jamaica Civil Aviation Authority said yesterday that immediately following the aircraft's disappearance from the radar, search and rescue procedures were initiated, with contacts to the Duncans and Clark's Town police stations and the Jamaica Defence Force (JDF). 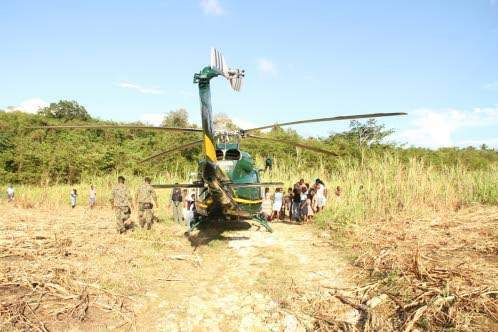 The JDF initiated search and rescue flights Thursday evening and resumed yesterday morning. Search crews have found the Cessna 206F aircraft that went missing over the island on Thursday with three people aboard. There were no survivors. 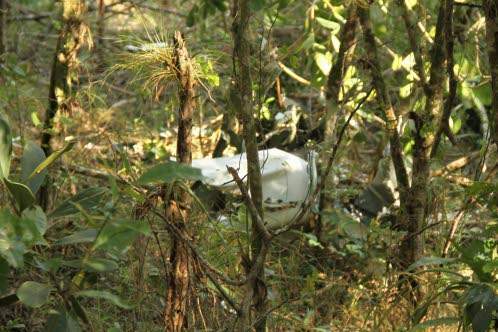 According to the Jamaica Defence Force (JDF), the wreckage of the plane was found - almost completely disintegrated - in bushes near Duncan's, Trelawny on Friday evening. The aircraft, reportedly with two pilots and a mechanic on board, went off radar on Thursday afternoon. In a statement, the Jamaica Civil Aviation Authority said the aircraft departed from the Sangster International Airport in St James at 4:18 pm, destined for the Tinson Pen Aerodrome in Kingston, with an estimated arrival time of 4:58 pm. 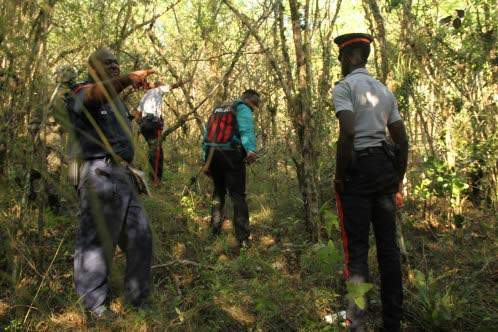 The JCAA said the aircraft was last seen on radar at 4:36 pm, between Duncans and Clark’s Town in Trelawny, where search and rescue procedures were immediately initiated with the respective police stations and the JDF.